However, things did not begin great for the creators who are both co-founders of a recording label in Atlanta, Georgia called Grand Hustle Records. Right after the announcement that they were going to launch the brand, they instantly got sued by Akoo International. This is a social TV network focused on music which has been established several years before T.I. and Geter created AKOO clothing. The lawsuit they faced was for trademark infringement. Now, let us move the bad things aside. Before the clothing line was officially launched, more and more items from the brand showed up on several websites including AKOO’s official blog. Pictures of apparel were displayed but they were not for sale. It was only to show the public what the AKOO style was all about. Luckily, the brand got positive response from the fans of urban style. Originally, T.I. wanted to invent something that would be suitable for his diverse requirements – from the entertainment business to the board room itself. Because of this, AKOO was generated and many observers will see that the clothing line contains sharp pieces that are appropriate for formal events as well as for those who like a trendier style particularly for the teens. The founders and the co-founders of the AKOO clothing brand believe that the denim jeans that are manufactured by their team are simply the best in urban fashion. Geter and T.I. has gotten help from creative director Ralphy Reynolds who has been around the fashion scene for more than a decade already. According to Reynolds, all the denims from AKOO is and will be produced in Japan where he strongly thinks has superior makers known to fashion. Already, just after a few years of existence, the AKOO clothing line has been dubbed as one of the brands that are able to stand the test of time. Several new ideas have flooded into the convention for the upcoming clothes and apparel for AKOO. T.I. meanwhile has expressed to the media regarding his plans about his creation. He has talked about applying military style look but he knew that there has to be a line drawn for such notion. Designers are already looking into a military inspired collection including the creators of AKOO fashion. However, T.I. believes that this should not be overdone and thus they have chosen to pay more attention to detail instead and make the military gears subtle. Popular slogans for AKOO urban style included “Trust Nothing with Teeth” and “Always Hunted.” Bronco jeans are a top favorite too which is a buck head blue denim costing 78 dollars per pieces. Biking red colored long sleeve woven top costs 76 dollars. For jackets, the razor reversible is pretty attractive to consumers though it is 142 dollars. For a more conservative and money conscious buyer, the OI AKOO banner tee gets the nod almost all the time priced at 28 dollars for every shirt. Currently, AKOO has unveiled their 2011 spring collection which featured Chiddy Bang and Mickey Factz. The pieces included the essentials: tees, hoodies and jackets. Indeed, AKOO has showed its swag for this season and fans are already in anticipation to get their hands on the products. 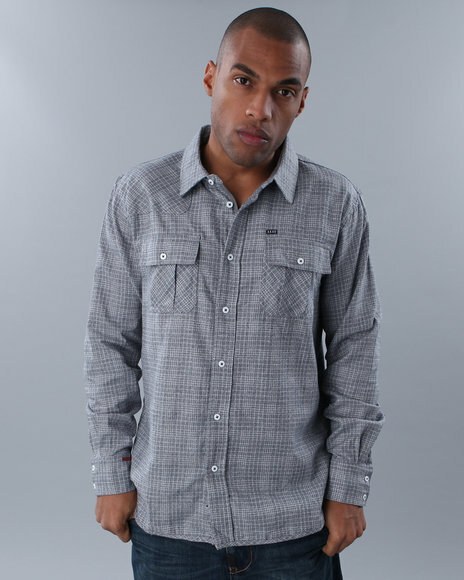 AKOO clothing is diverse in its collection featuring flannels for wearers to feel fresher and ready for spring. Chilly nights are no problem with cardigans and jackets. Of course, the denims are at the top, picked by the followers and urban style advocates.